SAFTEY: Almost Invisible Cat Litter is inert, indurated, NON-TOXIC and TOTALLY SAFE for you and your cats. It is made from amorphous silica gel which is not significantly different than sand and has no known health effects. 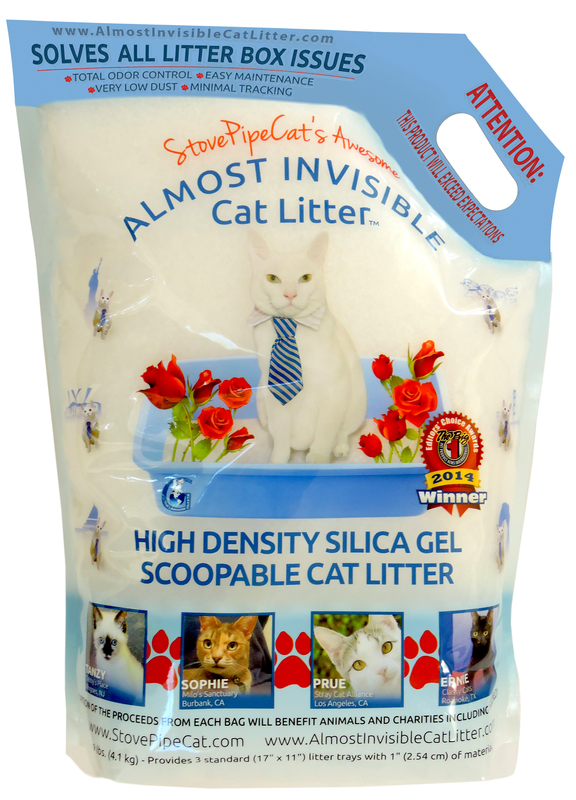 Almost Invisible Cat Litter holds the 2015 Feline Wellness Magazine Stamp of Approval. Our product has very low dust and should not be confused with the cat litters made from crystalline silica. These litter products known as "crystal litters" are very dusty and have been link to harmful health issues including sillicosis. Again, ALMOST INVISIBLE CAT LITTER IS TOTALLY SAFE. DIRECTIONS FOR USE: Almost Invisible Cat Litter are packaged in self standing, half transparent 9 pound bags with very strong built-in handles that makes lifting, carrying and pouring out the cat litter quite easy. Pour out enough litter that your cat(s) do not struggle to bury solids or leave exposed areas of your litter tray after burying. Many people use as little as 1" of material with great success. Scoop the solids 1 or 2 times daily and thoroughly stir your litter pan daily. The more thoroughly and often you stir the longer our totally odor free cat litter will last. When all of the litter turns dark yellow, it still will not smell, but the color change serves as a warning that the effectiveness is near the end. Often, you will start smelling ammonia a day or two before the urine smell is noticeable. You will get 10 - 12 weeks of litter for one cat or 3 to 4 weeks of use with 4 cats, etc. when your litter box is properly maintained. In humid areas, especially during summer months, performance can be impacted, but our product will still control odor and last longer than any other litter product. TIPS FOR INTRODUCING OUR ALMOST INVISIBLE LITTER TO YOUR CATS: Do not immediately remove all of your old litter and force your your cats to switch. Put an additional tray containing Almost Invisible Cat Litter in the same room or area as your exisiting litter trays, preferably in the same spot and wait for the cats to switch on their own. Most cats make the switch within 2 days. A few cats will take about a week. If your cat has not switched within 1 week, put the old litter on top of the Almost Invisible cat litter and let your cat use that tray for one week. After that week, remove the old litter. ORDER TIME: All orders are shipped within 24 hours of receipt, except for weekends. 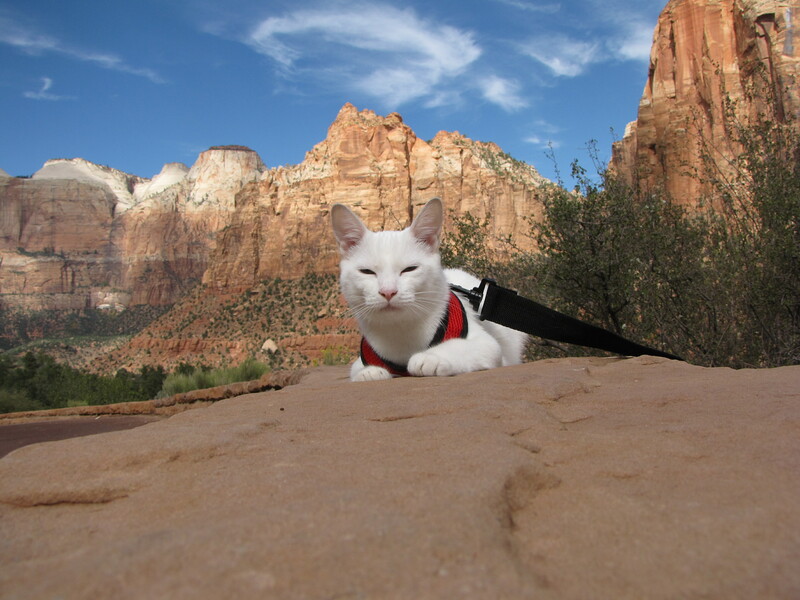 OUR FEARLESS LEADER: Follow the adventures of StovePipeCat a.k.a StovePipe The Traveling Cat on Facebook and Instagram. 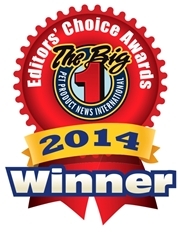 THE EXPERT OPINION: Almost Invisible Cat Litter is the Pet Product News International's 2014 Editors Choice Award Winner in the prestigious Cat Litter Litter Category. Works just as advertised, we have three cats and two liter boxes and it took the smell away. When we get guests they are shocked to see three cats. If you don't try this product you are missing out. I absolutely love this cat litter. There is no smell at all like the clay crap you buy in the store. When used with the awesome scoop it makes cleaning the box super fast. Way less waste and it lasts way longer the other stuff. I will NEVER go back to the other litters. EVER!!! Totally changed the litter box odor! The best litter I have ever tried! This product just isn't absorbing the urine like the guy at the cat show assured me. I had to make my litter thicker than 1 inch stir it up several times a day to get the long lasting result. I got this cat litter because I have a litter box in the hallway near the living room. The new kitten seems to be excessive times of bowel movements with loose stool so her poop is very stinky. I hope this litter can make the smell less noticeable. Well, the initial poop is still quite stinky but the poop gets dried fast in the cat litter. The other cat has diarrhea so makes things a little worst. Could not have gotten this litter at a better time. Since one bag is very small, I have to keep up by cleaning out the poop two times a day or whenever I can. So it is more work for me, compared to the feline pine I am using. But the cats seem to like this cat litter. I have to see how long 9 pounds last with 3 messy cats. This cat litter came highly recommend by my Veterinarian for a cat with severe allergies. That was four years ago, not only do I still use this product I have all of my cats using it. I love the low dust and no odor factor. No more problem with cats going outside of their box. There is nothing out there that compares. With three aging cats, litter has always been a problem. In Almost Invisible Cat Litter we have found the best solution to date. It does a great job of absorbing odor, and more importantly, our cats really like it (and they didn't like other silica-based litters we tried in the past). Happy to recommend.